Numerous people attended the Pickens County, Ala., NAACP meeting on June 29 to complain about false arrests from a drug sweep. 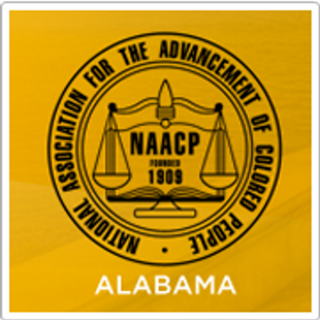 The state’s NAACP said that the organization is launching an investigation, WBRC-TV reports. The claims stem from an 18-month drug operation that netted more than four dozen suspects. But many of them claim that the county’s justice system is corrupt and they were falsely arrested. Some of those who were arrested said they pleaded guilty to avoid incarceration and must pay large fines. “Someone needs to put a stop to this in Pickens County. I mean, they do what they want to do, when they want to do it and how they want to do it,” said one arrestee, Tabitha Whitten, who says she’s innocent of any charges, according to WBRC-TV. But Pickens County District Attorney Chris McCool calls those claims baseless. He said that those arrested were caught on video buying drugs from an informant. McCool added that his office prosecutes drug cases only when there’s video evidence, WBRC-TV reports. Some of those arrested in the drug sweep also claim that officials abused them while in custody. One woman stated that she had to relieve herself in a mop bucket instead of a restroom, according to the news station. “We can’t guarantee you anything, but we can guarantee you that we are going to be here with you and work to eliminate and to eradicate the type of unjust system that we have here in Pickens County,” said state NAACP President Benard Simelton, WBRC-TV reports.